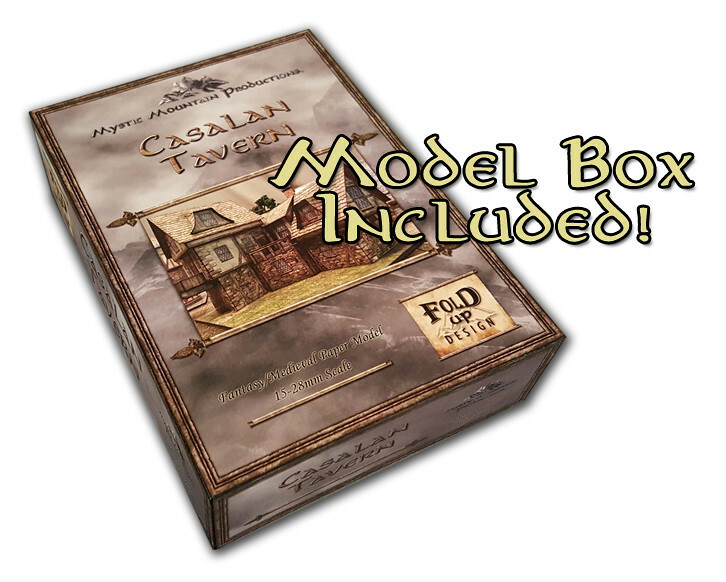 The Casalan Tavern offers a familiar setting with an unfamiliar look while at the same time introducing a new "location" name to the product line. 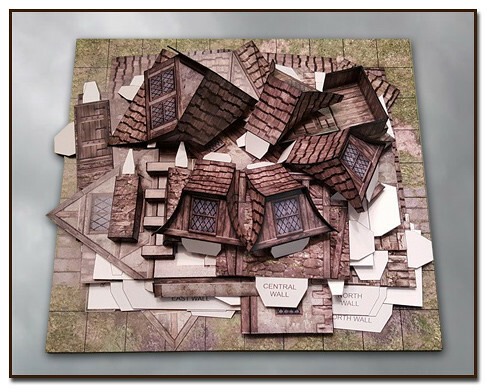 The model features multiple layered options to customize the look of the brick, plaster, optional Tudor wood, roof and ground textures. 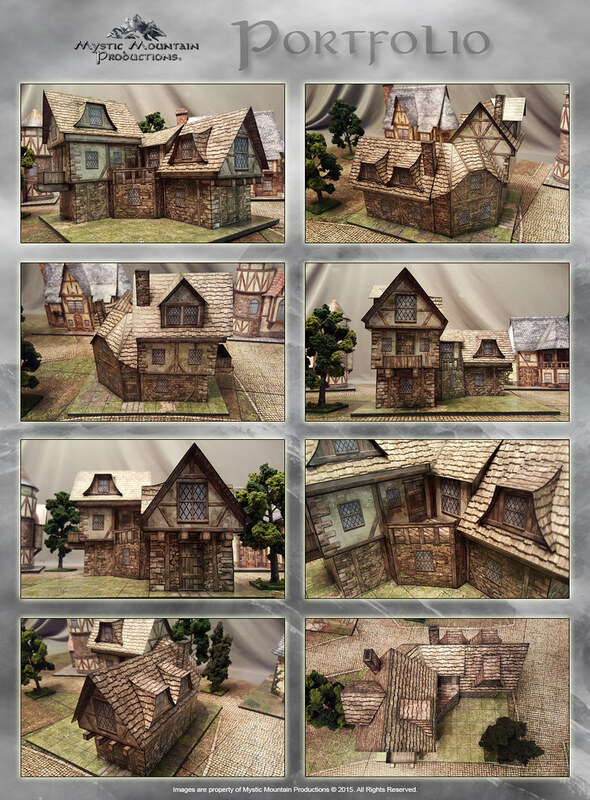 Unique roof dormers and a balcony are additional options to outfit the building with. Apart from the architectural design and visual appeal, the model was created with our latest fold up concept for ease of storage. To help with this, the kit includes its own storage box as a bonus feature. Cut files are included for those with Silhouette Studio software compatible cutters. All of the model components can be taken apart for ease of storage. Thought you'd be left to coming up with your own storage box? Not any more! 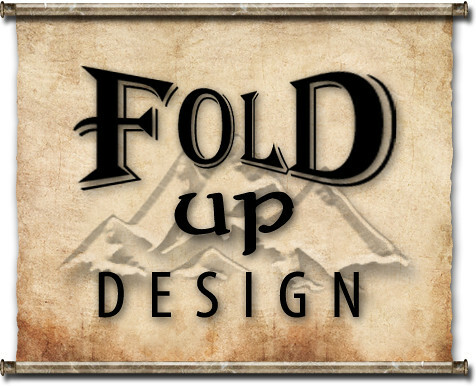 Now you can store your model with style! 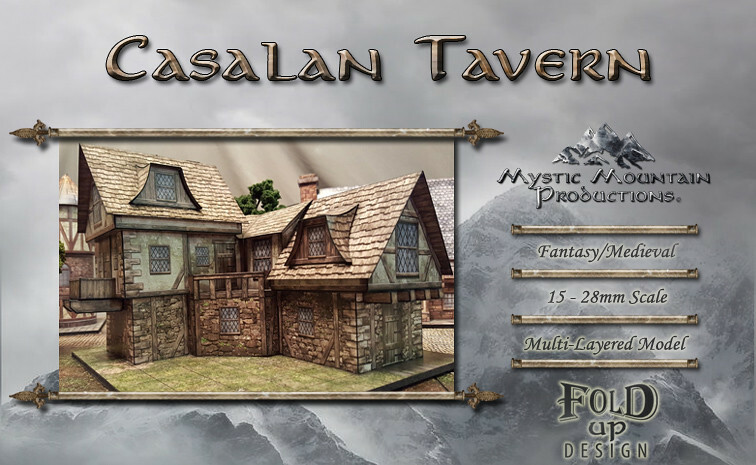 This kit contains several multi-layered PDFs. Each section has been grouped together for ease of printing and is compatible with Adobe Acrobat Reader 7.0 or later.